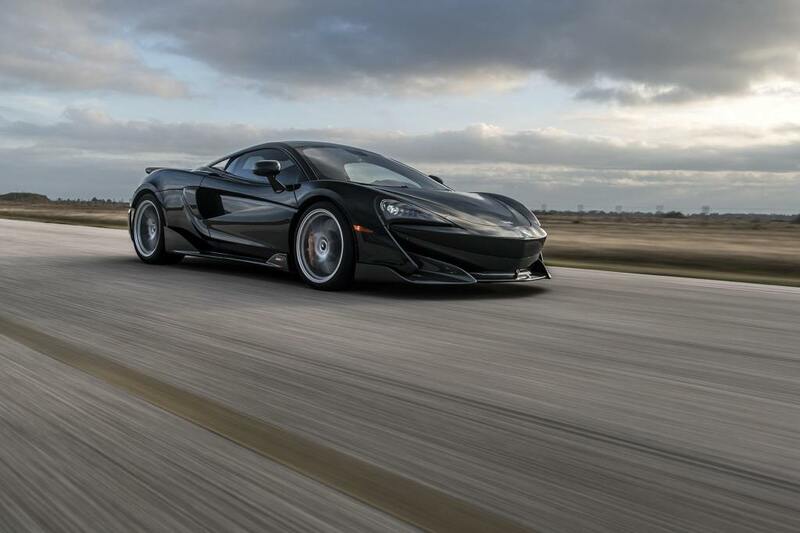 Mr. Hennessey initially didn't have plans to modify the 600LT but later decided after driving it that "it is so good the only thing that it’s asking for is more power." Only a man accustomed to 1,000-hp Grand Cherokees and Camaros would find issue with a brand new, track-bred McLaren's speed. Everything is relative, people. 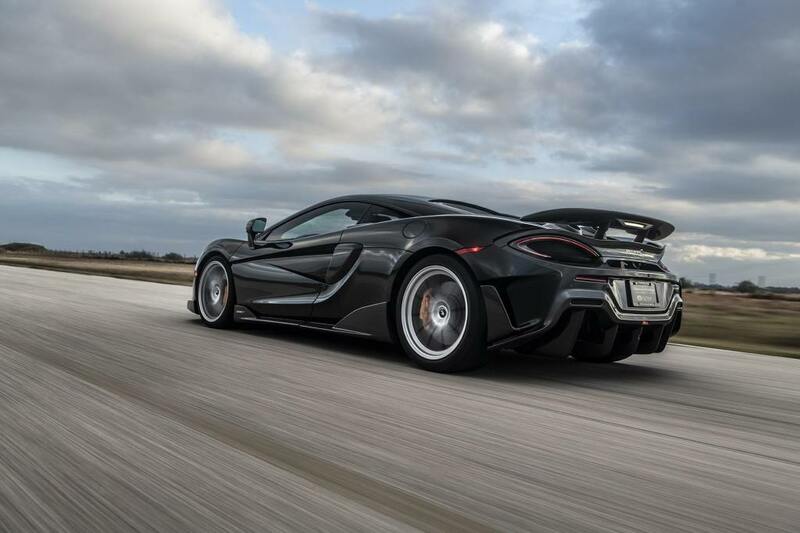 To get the 600LT to a four-digit power figure, Hennessey has added the HPE1000 kit with high-flow air filters, a Motec ECU, stainless steel turbo headers made in-house as well as unspecified upgrades to the car's twin turbos, high-flow wastegate system, transmission, stainless steel exhaust, and intercooler. Making precisely 1,001 hp and 865 pound-feet of torque, the tuned Macca is said to get from 0 to 60 in just 2.1 seconds and crush the quarter mile in 9.6 seconds at 156 mph. It's got 592 horsepower and still weighs less than 3,000 pounds, but it's now capable of blowing your toupee away.